Colombia is probably one of the most misunderstood countries in the world. The dark days are a thing of the past. Over the past couple of decades Colombia has transformed itself into a vibrant, prosperous, and welcoming country that is a world leader in innovation, commerce, and healthcare. So, let’s introduce you to Colombia. 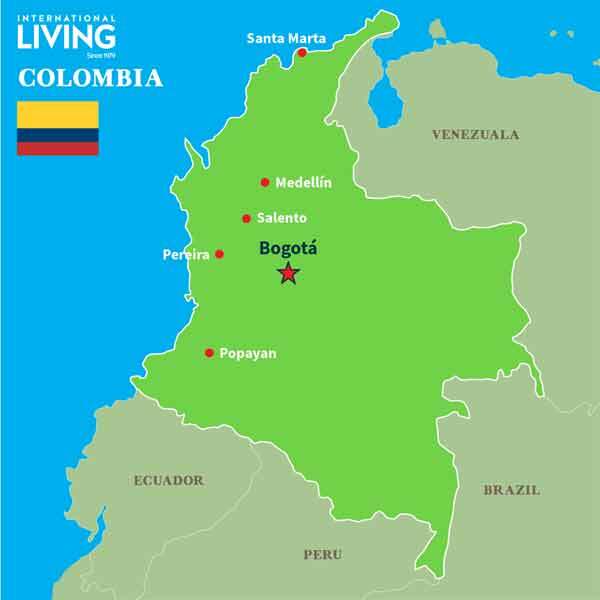 Located at the northern tip of South America, with 441,000 square miles of land, Colombia is about the combined size of Texas and California. With very diverse topography, Colombia has coastlines on both the Caribbean Sea and the Pacific Ocean, the three ranges of the Andes mountains running down its spine, and the Amazon rainforest. Colombia’s 48 million residents live mostly in cities and towns along the Caribbean coast and in the mountains. Colombia is very accessible from many major U.S. cities, with a flight from Florida to Bogotá or Medellín taking just three hours. JetBlue, American, Avianca, Spirit, and United have direct international flights into both cities. Because tourism to Colombia has been increasing by double-digits for the past four years, many of the airports have been expanded to increase the terminal and flight capacity. 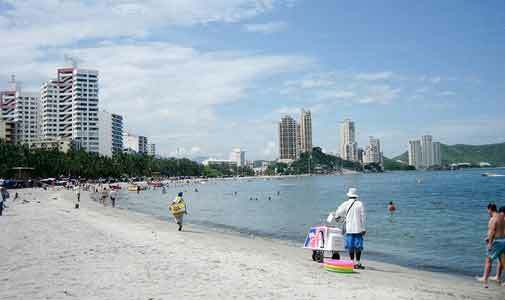 Both major international airports and smaller domestic airports, either have been completed or are in process. Colombia can also be accesses by boat. The Caribbean cities of Santa Marta and Cartagena have both commercial ports that accept cruise ships, and private marinas if you want to come in your own vessel. Unfortunately, it is not possible to drive to Colombia from the U.S. The Darien jungle creates a road barrier between Colombia and Panama. Colombia is the second most biodiverse country in the world, with climates ranging from hot and tropical (upper 80s F to low 90s F) on the Caribbean coast, to spring-like (mid 70s F to low 80s F) climate in several cities in the Andes mountains, to cooler temperatures (low to mid 60s F) in the capital city of Bogotá. Sitting just north of the equator, Colombia enjoys 12 hours of daylight and 12 hours of darkness with very little variation during the year. And there is no daylight savings time. An added benefit of being so close to the equator is that it virtually eliminates the likelihood of being hit by hurricanes. The country doesn’t have any official seasons, so the climate for the region you choose will remain essentially the same every day of the year. There are however, some months which are drier or rainier than others, but the heavy rain rarely lasts more than a couple of hours per day. What cities and towns should you visit? Nicknamed the “City of Eternal Spring” due to its perfect year-round climate, Medellín, Colombia’s second largest city is nestled in the valley between the western and central ranges of the Andes mountains. The city was named the Most Innovative City in the World by Citibank in 2013 and earned the Lee Kuan Yew World City Prize in 2016 for the creation of sustainable communities. 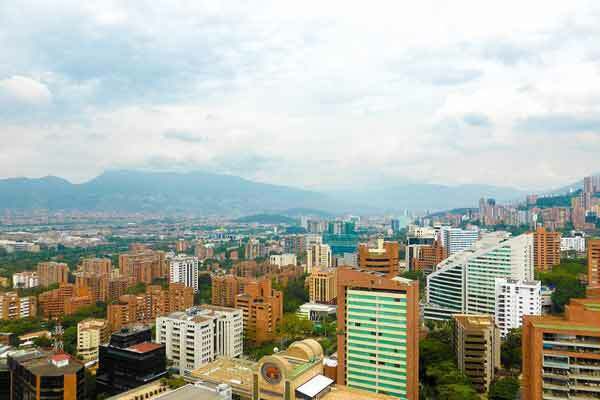 Medellín is home to seven of the top Latin American hospitals and provides world-class healthcare. The city has over 30 universities, a blossoming gastronomy culture, many museums, including the Museo de Antioquia which houses many works by native-born Fernando Botero, and the Philharmonic Orchestra in the Metropolitan Theater. 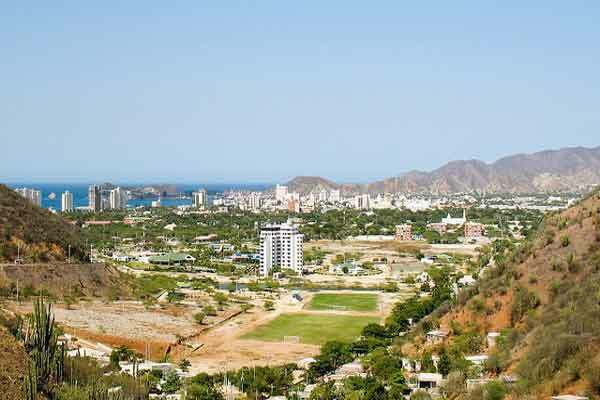 Founded in 1525 by the Spanish conquistadors, Santa Marta is the oldest surviving city in South America. Located on Colombia’s Caribbean coast the city is home to South America’s only IGY (Island Global Yachting) destination marina. Places of particular interest include La Quinta de San Pedro Alejandrino, the site where Simón Bolivar, known as The Liberator, died in 1830. It is now one of Colombia´s most treasured museums and historical landmarks. You can also enjoy wandering through the Tairona Gold Museum which houses some of Colombia´s finest pre-Columbian gold artifacts. The unspoiled beaches and tropical forests in Tayrona National Nature Park, are one of the most popular attractions in Colombia. Just 40 minutes north of Santa Marta, the park boasting nearly 400 species of birds, and 60 species of mammals, is a true nature-lover´s paradise. The small coffee-farming town of Salento has a quaint, laidback lifestyle. The main square in the center of town follows the typical Colombian format with a church at one end, a park and statue in the center, and restaurants, bars, and cafés all around the edges. Salento’s top attraction, Cocora Valley, is part of Los Nevados Natural National Park, it encompasses 225 square miles of mountains, valleys, and rain forests. The valley is one of the park’s most visited attractions, due in part to its most famous inhabitant, the wax palm, Colombia’s national tree. Pereira is one of three cities that make up Eje Cafetero (the coffee triangle). Its climate of mild, sunny days and slightly cooler evenings is perfect for growing some of the world´s best coffee. In the past, Pereira lost many of its original buildings due to earthquakes. In the downtown you will still notice a few colonial and Republican-era buildings scattered here and there, but today, modern construction dominates the city. El Zoológico Matecaña, Colombia’s most popular zoo, and Technological University of Pereira’s botanical garden are just a couple of the natural wonders surrounding the city. You can also take tours of coffee plantations, where you can see first hand how your morning cup of joe is grown, harvested, and processed. Often referred to as the “San Francisco of Colombia” for its steep hills, Manizales is another city within Eje Cafetero, and is in many ways the quintessential Coffee Triangle city. Rich green carpets of coffee fields surround the city, making the coffee culture always within reach. Lying in the shadow of Los Nevados National Natural Park, one of Colombia’s most visited natural attractions. On clear days, you can see three snowcapped volcanoes from Manizales, including the cantankerous Nevado del Ruiz, which last erupted in 2012. Since its early days, Manizales has used cable cars to transport residents from one mountain ridge to another, a great way to beat the traffic, while also getting a bird’s eye view of the city. At the end of a busy say you can soak away your aches, pains, and troubles in one of the many natural sulfur spring thermal spas. Termales El Otoño is a particularly special spa hotel. Whether you choose to stay in one of the private cabins, or the main lodge, you have access to the hot thermal baths and high-end restaurants. Arriving in Popayán’s historic district, is like entering a giant architectural museum. As far as the eye can see in every direction you look, there are impeccably preserved white colonial buildings, earning the city its nickname “The White City”. A UNESCO world heritage cultural site for its Holy Week processions, and gastronomy for its centuries-old, traditional food, Popayán is one of Colombia’s most important cultural cities. Completed in 1788, the baroque-style San Francisco Church is a testament to the generations of Europe’s talented architects.